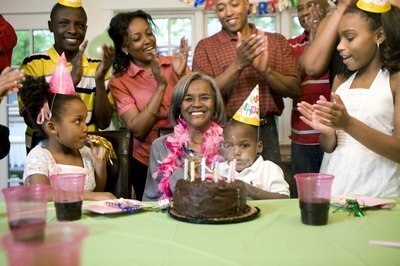 Sixtieth birthdays can be the perfect opportunity to plan an unforgettable milestone party, complete with games and activities that will bring out the kid in everyone who attends. 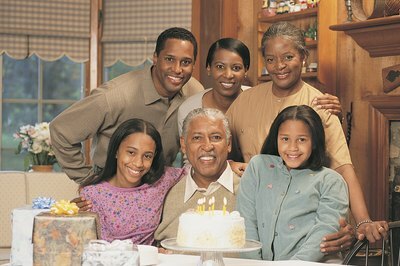 A well-planned get-together will keep your friends and family smiling and laughing for years to come. Consider a few ideas as you plan how to celebrate. 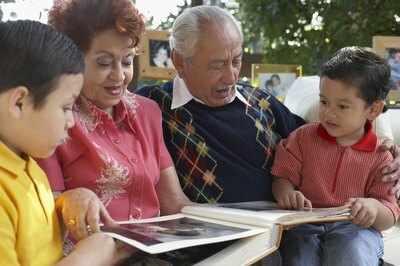 Involve your guests in some trivia about the decade the honoree grew up in. Have them identify famous movie lines, song tunes or news clips from the time frame. Award suitable prizes for those who get the most questions right. Have everyone bring a picture of themselves as a baby. Lay them out on a table or pin them on a bulletin board by number. Then have each guest number a sheet of paper and identify as many guests as possible. Before the party, have the guest of honor list several little known facts about himself on slips of paper. Then, write down a few false facts on additional paper strips. Have guests compete to see who knows the most true facts. 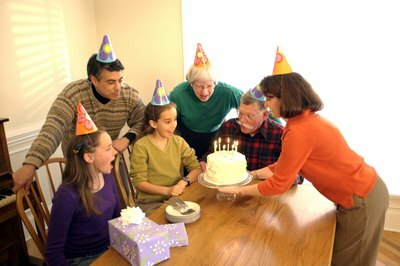 Ask each of the guests to bring a picture of the birthday person. Leave the pictures, along with a stack of note cards, on a table near the entrance. Have the guests write funny or endearing captions for each of the pictures, and then combine the cards and the pictures into a photo album. Read the captions aloud for everyone to enjoy. Find pictures from all stages of the honoree’s life. Hang up a clothesline across the room and challenge the guests to take turns attempting to arrange the pictures in chronological order. Give prizes to the contestant who comes the closest. For extra laughs, include some funny or embarrassing photos. Sixty isn’t too late for an over-the-hill themed party. Have the guest of honor give you answers to some questions beforehand, and then have the guests compete to see who knows the most answers. 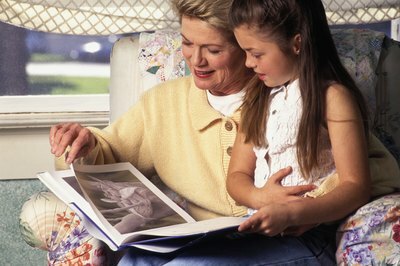 Include questions about aging, like when the honoree noticed his first gray hair, or how much a can of soda cost when he was a child. Reward the winners with prizes like fake dentures, wrinkle cream, or reading glasses.